I like to switch up what I read every month. Some months, I deep dive into complex topics and issues through ethnographies, novels or academic articles. Some months I like reading books that are completely unrelated to sustainability and ethics. This month, I had a lot on my plate, and wasn't able to prioritize sitting down for an extended amount of time and reading a big book. 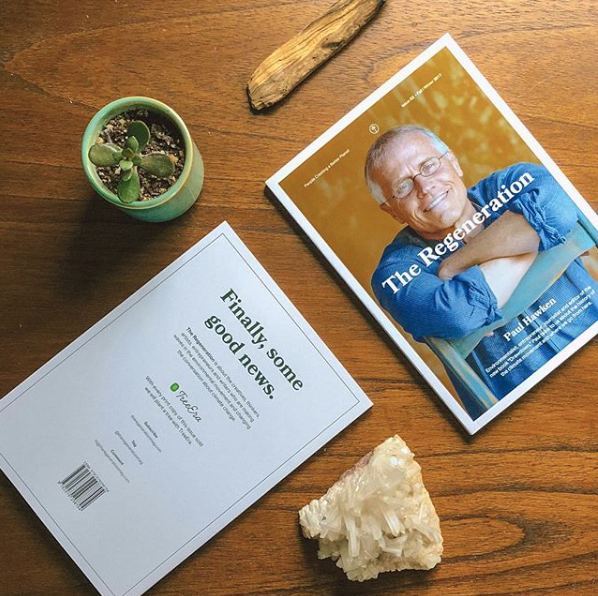 So, my reading recommendation this month is The Regeneration, a magazine dedicated to the creatives, thinkers, artists, entrepreneurs and writers who are making waves in the environmental movement and changing the conversation about climate change. I love this magazine for so many reasons, one main reason being that I was able to flip through it throughout the month whenever I got the chance. That way, I was still reading sustainability news, but one article or page at a time. I kept the magazine on my kitchen counter, so whenever I was waiting for my food to cook, or my kettle to boil, I would read a few pages. I think we're often overwhelmed by all the topics surrounding ethics and sustainability, especially if it's a long article. I find taking this approach is a great solution for those with busy schedules, but still want to be learning something new. I also appreciate this magazine because of the different voices that are represented within it. I find sometimes that read articles or blogs from the same people, who are typically white and middle class. There is nothing wrong with being white and middle class of course, but as i've expressed before, it is essential to hear the voices from people that are usually marginalized. I love that this magazine is a platform that gives space to activists and leaders of colour. This particular issue (no. 2) of the magazine had two articles that stood out to me, and I believe that it's worth getting the magazine just to read these two articles alone. One was called 'Representation Matters' which highlighted various sustainability and environmental activists who are all women of colour. Now, I have a lot of conversations in my personal life about race, class, and power in relation to sustainability activism, but I realize that for many of you this might not be the case. You may not have a group of people to talk about these issues with, or even know where to start learning about these issues in the first place. Well, the good news is that you can start with the people featured in this magazine. 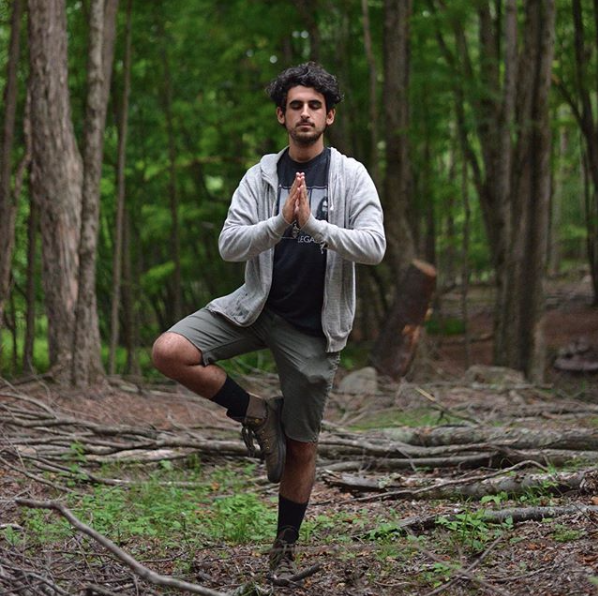 This quote has really stuck with me: "If environmental activists aren't using their platforms to speak on the oppression of people of colour, they are passively contributing to systemic racism." I realize as a white person that any work I do in activist spaces must go deeper than just surface level, and address anti-blackness and oppression. This quote ties into the second article called 'Complicity', written by a white man, but addresses settler-colonial relations in environmental activism. I think if you're a white person wanting to be involved in activist movements, this is a great read, which echoes the above quote; that we need to be speaking about the oppression of people of colour when organizing. If you're looking for a magazine filled with interesting people, advice and news, this is the one for you. Issue no. 3 is currently avaliable for pre-order online, and will focus on ethical fashion (perfect for the upcoming Fashion Revolution Week!) You can follow them on instagram @theregenerationmag as well.